most pressing challenges in a financially, socially & environmentally sustainable manner. Fumase is an Asset Management & Asset Development company based out of California, USA with a focus on Renewable Energy, Water & Waste sectors; and geographic focus on South Asia & South East Asia. 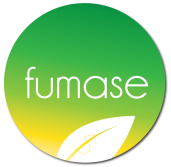 Fumase develops greenfield projects in the different sectors & in different geographies. Fumase takes on the development risk with double digit IRRs targets upon completion. Fumase also takes on equity stake in qualified third-party projects for joint-development. Fumase structures the financing needed for the project. Fumase's strategy is to hold the project for the full tenure. Fumase also acquires qualified operational assets to add to its portfolio. The portfolio will be made available to the public markets. Each factor would be evaluated individually. Individual scoring would generate an overall Triple Bottom Line (3BL) score. Fumase uses this framework for all its evaluation and investment decisions, and requires all projects to achieve an above average score for each of the individual scoring as well as the overall 3BL score. The 3BL framework has been presented at Renewable Energy & Finance conferences and has been very well-received.
" Fumase was founded with the vision to address South and SE Asia's most pressing problems & aims to provide the basic necessities of global communities in the most sustainable manner that today's technologies have to offer. Having come from the high-tech sector in Silicon Valley, clean technology became a natural progression for my next venture at that time 8 years ago. We identified these 3 sectors - Energy, Water & Waste as the main problems the world is facing today and we built a closed-loop system to address all of these problems in a contained, sustainable & profitable business. While we are not a technology company, Fumase as a company invests heavily into Business Model Innovation & apply these innovations into our projects. We employ innovative strategies & partnerships to generate healthy deal flows. Ultimately, Fumase is an innovative financing company which aims to bring the asset portfolio to private & public markets. During my time as the investor chair for California & mentor in "CleanTech Open" - the largest clean technology competition in USA & globally, I identified that clean technology projects often had difficulty taking off due to the lack of financing in the project development stage. As such I built & invested in the Fumase Fund-I which focuses on investing in development stage greenfield projects to bring the projects to shovel readiness. Fumase takes the developmental risks for the projects. Follow-on construction risks are mitigated by employing relevant EPC companies with long track records. These EPC companies also provide O&M support. Fumase has grown tremendously over the years with a truly global footprint. We invite partners to work with us to mutually achieve greater green heights. " Kiran Jethwa is a serial entrepreneur and a veteran marketing professional with over 9+ years of experience in the renewable energy sector & 20+ years of high tech industry experience. Prior to clean technology, Kiran held various product marketing & management positions in the high tech sector with Fortune 500 companies and start-ups alike, defining and delivering market driven products & turning around products & companies. Kiran Jethwa is a proponent of innovative business models that incorporate economic, social & environmental Triple Bottom Line strategies. Kiran has contributed as the investor chair for California and a mentor in “Cleantech Open” - the largest clean technology competition in USA & globally. Kiran is a frequent speaker at clean technology and financial conferences internationally. Global professional experience in South Asia, South East Asia, Japan, Europe, North America and Latin America. Kiran has BSEE, MSCS and MBA degrees.